All harvested within a few hundred yards of the cottage. So, oven baked lake trout with freshly baked bread to start, followed by Pigeon breasts in a bacon and mushroom sauce accompanied by home grown asparagus potatoes. Great shots, Ray, and what a brilliant menu. Did you also shoot the pigeon yourself? Your stove with the fire door open makes the cottage look snug and cosy. If you ever grow tired of pigeon breasts, try smoking them. They make a succulent and very tasty starter, sliced thin. Ooh, I'm jealous now, I love pigeon. Great pictures Ray, but what are asparagus potatoes? yes, the Pigeons were all from the fields around the Cottage. Shame is though that the season is over for that part of Sweden, the birds have flown further south (England actually). 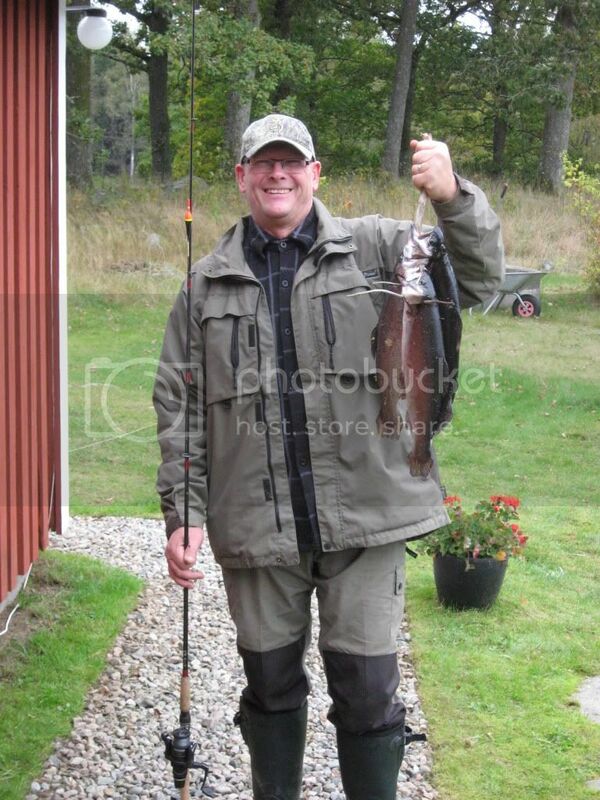 The fish were an order from my rich neighbour, he has a large lake which he keeps stocked with trout. Whenever he is giving a dinner party and does not feel like fishing himself, he rings me. I fish the agreed amount and get to keep one for my troubles! Toffeeapple: I translated directly from the Danish, they are a small longish potato with a firm slightly sweet flesh. I am not too good with veg, I could be wrong! Soon time for Pheasant, then I need to look around the site for recipes! Ah, probably a Danish variety, thanks for explaining. 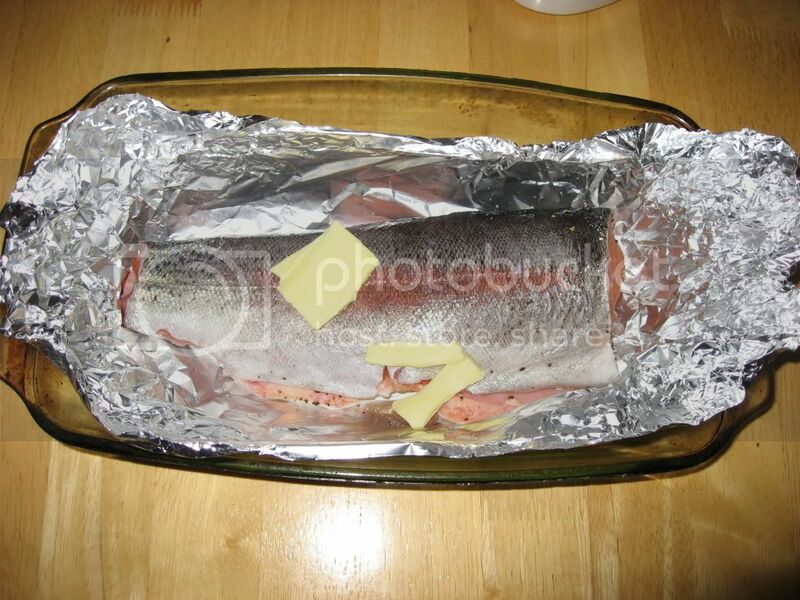 That trout looks succulent. 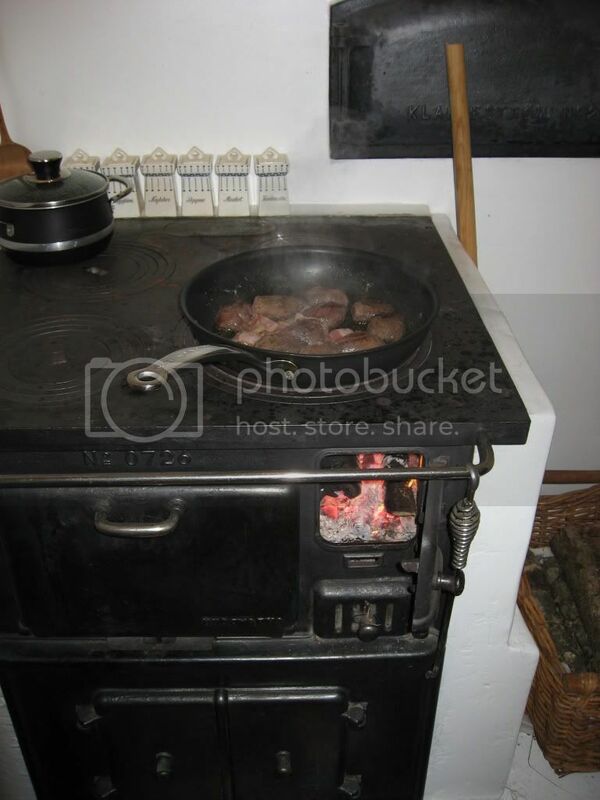 Ray - I have dinner and stove envy. Great photos. If you like the stove, you will love the bread oven. It is constructed out of Hoganas firebricks, it is about 1,5 x 1,3 meters and gives the bread/pizza a delicious smoked taste. Problem is that it is an art getting the temperature just right. Too hot and the bread/pizza burns on the outside, too cool and it's difficult to gage cooking times. Now I am seriously jealous! How many people were you feeding with those pizzas? The oven looks brilliant. A proper bread oven does make a big difference, especially to pizza. We only have a normal oven so we use a pizza stone, which is still way better than a standard baking tray. 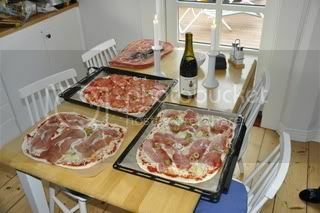 Experience taught us to bake masses of Pizza and freeze it down, then Helle has it sometimes on evening/night shifts.